A night of cabaret, a weekend of cutting edge jazz, and a big band world premiere all contribute to an eclectic week in the Twin Cities jazz community. And maybe spring will finally make an appearance? Friday, March 22. 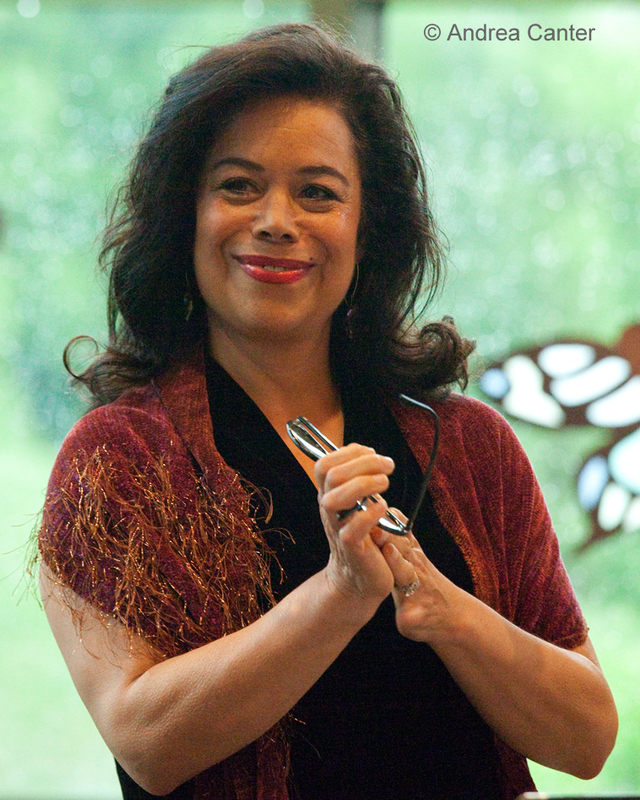 Some of the area's top jazz vocalists are active members of the Twin Cities Cabaret Artists Network (TCCAN), which reprises its February product "Women: A Broad View" at Bryant Lake Bowl, a salute to Women's History Month. Eight singers share their personal stories and sources of inspiration--Joey Babay, Connie Dussl, Mary Keepers, Rhonda Laurie, Vicky Mountain, Jonathan Peterson, Debbie Scheriff and Eileen Wisienwski, with Tom Linker on piano. 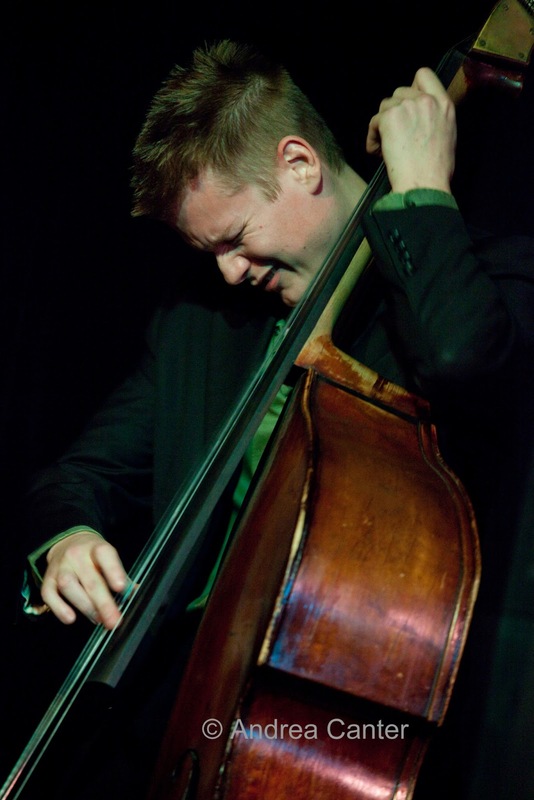 For utterly sublime jazz collaboration, look no farther than the Icehouse tonight as pianist Chris Lomheim and bassist Gary Raynor team up over the dinner hours. Each has a signature sound and touch, and together they will soothe the stress of the work week without letting your ears slide into a passive haze. Listen and be rejuvenated. 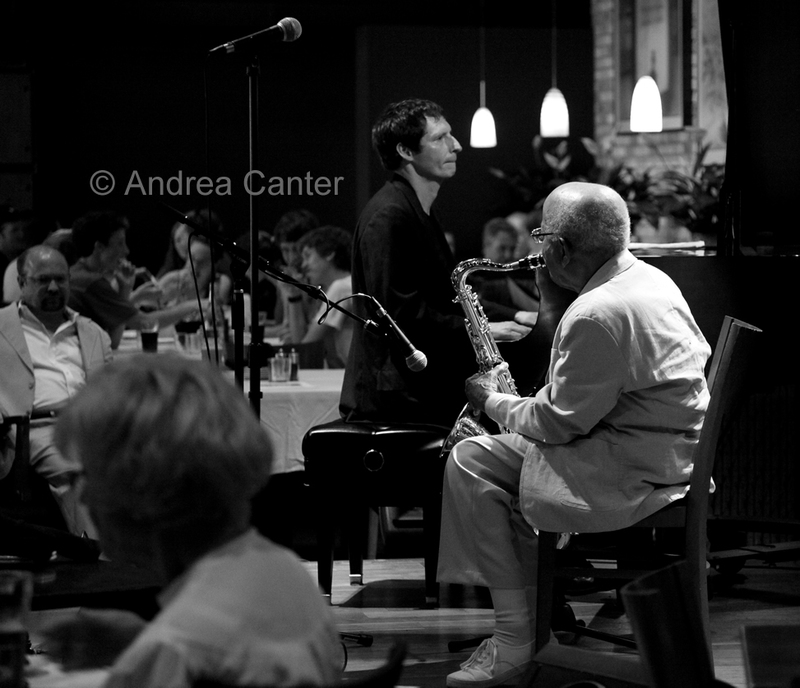 Speaking of rejuvenation, 93-year old sax legend Irv Williams continues his weekly Happy Hour stint at the Dakota with Peter Schimke (and often, Billy Peterson). Every chance to hear Irv is a gift. Friday-Saturday, March 22-23. 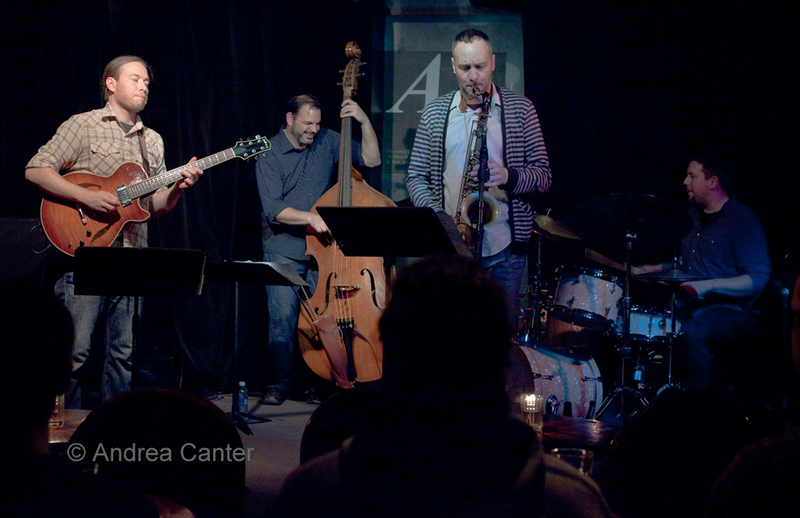 The ever-evolving Atlantis Quartet returns to the Artists Quarter with a preview of their upcoming new release as well as favorite original compositions. Saturday, March 23. If you are looking for music and a family-friendly atmosphere in the east burbs, check out the young duo of Joe Strachen (piano) and Ted Olsen (bass) at Angelina’s Kitchen in Woodbury. Joe is one of the rising stars on the Twin Cities scene, soon to graduate from the U of M and blazing new trails with folks like John Raymond, Miguel Hurtado, Nelson Devereaux and more; Ted attended the jazz program at Luther College and similarly is making his way into the local go-to directory. They have a regular Saturday night gig at Angelina’s. And come back to the Icehouse tonight as the duo cast switches to sax and piano, with the cross-generation pairing of Dave Karr and Bryan Nichols. Karr of course is one of the local kings of bebop, but no doubt he can keep up with the post-bop antics of pianist Nichols. Together this should be a stellar partnership. Sunday, March 24. Looking for some guidance as you listen to jazz? Jazz Central Studios is hosting a workshop designed to help listeners better understand the music. 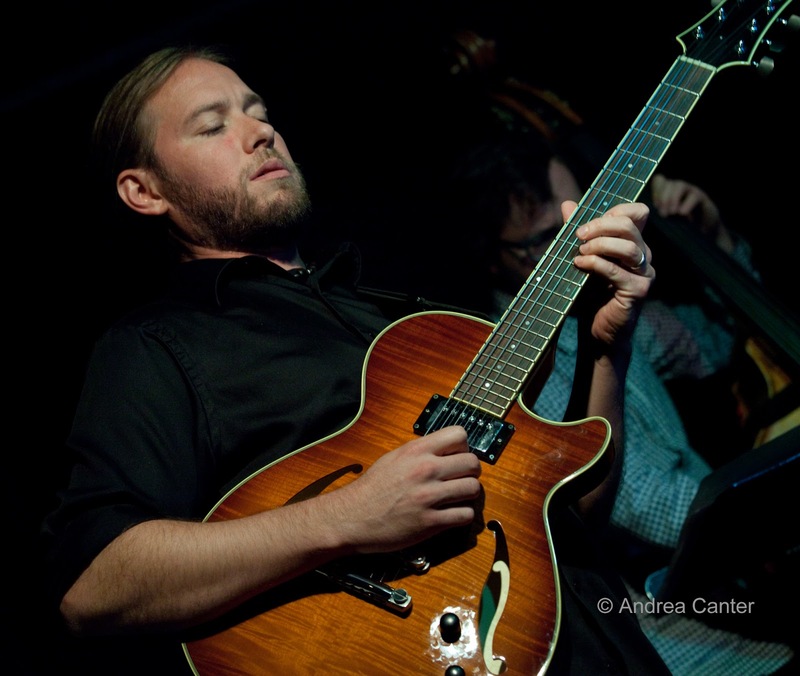 With expert mentoring from Jazz Central leader Mac Santiago with Ted Godbout and Matt Peterson, participants will learn about two classic jazz forms—blues and rhythm changes. Spend the afternoon listening to some cool music and upping your jazz IQ! One of the area’s premiere big bands, the Nova Jazz Orchestra will perform at Studio Z, premiering the “Concerto for Big Band” written for Nova by Kenton and Ellington Orchestra alum W. A. Mathieu. In addition to the six-movement jazz suite, other Mathieu works in the program will include music he wrote especially for the Stan Kenton and Duke Ellington Orchestras. A rare opportunity to see a big ensemble in this intimate space. The second installment of Off the Cuff, the improvisation series led by bassist Andrew Foreman at the Aster Café, takes off tonight. Inspired by the cipher settings of Hip Hop and double trio formats of jazz, each of the two sets features a trio of instrumentalists and a trio of vocalists/wordsmiths in spontaneous collaboration. Jazz artists will include Kahlil Brewington, Pete James-Johnson, Sten Johnson, Thomas Nordlund and Foreman, with song and word from Irenic, Mayda, Sarah White, and See More Perspective. To quote Foreman, “We don’t know what will happen.” All the better! Monday, March 25. One of the longest running gigs in the Twin Cities, usually it’s Denny Malmberg and Charmin Michelle at Fireside Pizza. When Charmin has a night off, it’s a chance for Denny to mix it up with another area siren, tonight Paula Lammers. Just off the Phil Mattson Singers gig with Richie Cole, Paula will be in swinging mode tonight. A great companion to one of the area’s best thin crust delights. Tuesday, March 26. There seems to be no end to either the energy or talents of trumpeter Adam Meckler. Monthly he brings his Adam Meckler Orchestra into Jazz Central, barely fitting a raft of mostly young hotshots into the studio space. But the tight squeeze is always worth it, and the opportunity to have an acoustic evening with a big band is worth any effort to find a free parking space. We can always count on some new tunes and new charts. 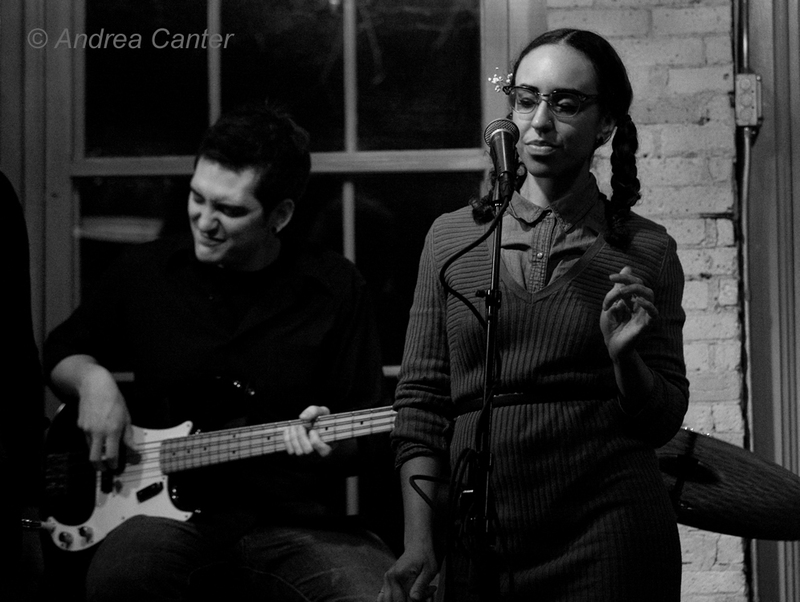 Across town at the Artists Quarter, it’s another Tuesday of Dean Magraw and friends, tonight featuring steady cohorts Bryan Nichols, Billy Peterson and Kenny Horst. Maybe this quartet deserves a name, finally? Come early and catch guitar monster Cory Wong and his quartet opening the night. Wednesday, March 27. 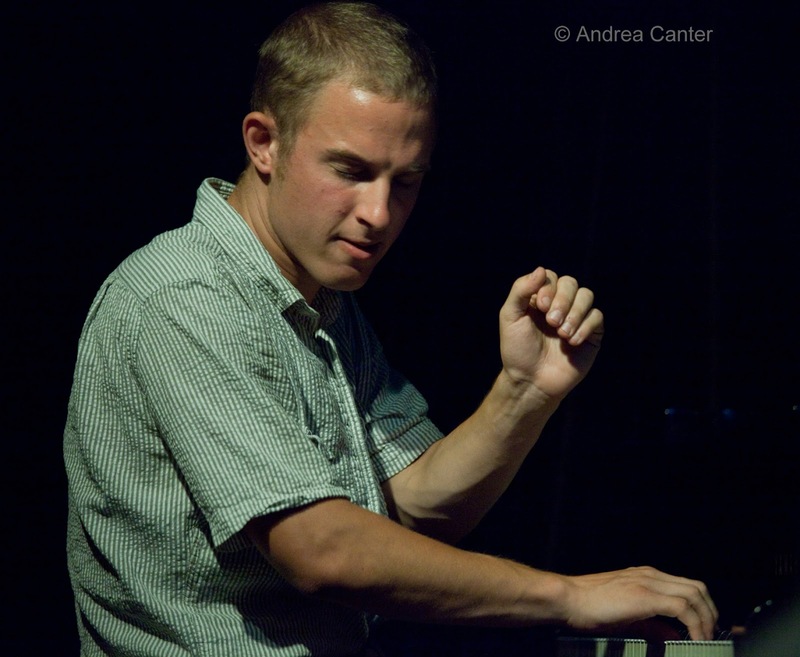 Eau Claire grad Graydon Peterson returns to Jazz Central with his quartet, UW-EC cohorts Vinnie Rose and Adrian Suarez, and another Wisconsin-trained star, Adam Meckler (Lawrence University), who perhaps keeps a sleeping bag at Jazz Central? Apparently there’s plenty of jazz karma in Cheesehead land, and we’re fortunate these guys settled on this side of the state line. Thursday, March 28. 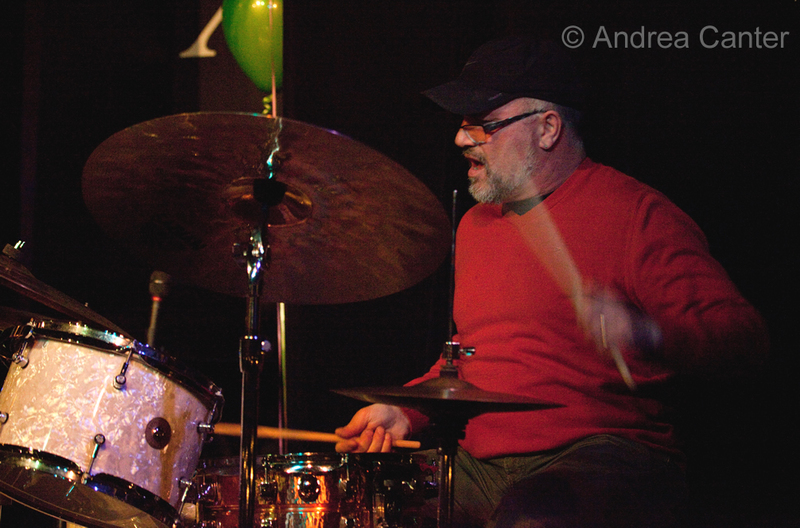 Too many choices tonight: Large ensemble madness with the Pete Whitman X-Tet at the Artists Quarter – always a great choice and opportunity to hear a who’s who in local jazz playing through original compositions and inventive charts. 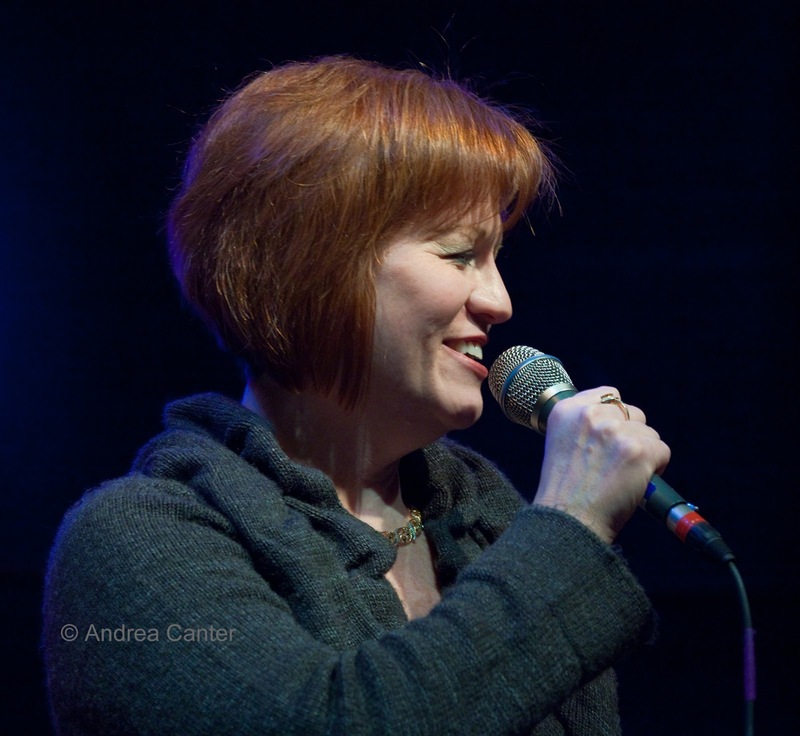 At Jazz Central, a dyamic pairing of vocalist Rhonda Laurie and pianist Phil Mattson for the weekly Vocalists Night. Hard to top the intimacy of the studio space, maybe the best space to hear a voice/piano duo in the metro. Intimate in another way is the tiny performance space at Barbette in Uptown, tonight featuring the long-running duo of Charmin (Michelle) and (Joel) Shapira. It will be dark, it will be jammed, and the late night menu will be divine. And the chatter will be audible. Tuesday, March 26. Jack Brass Band at the Amsterdam Bar. Thursday, March 28. John Devine and Friends at the Loring Pasta Bar; Benny Weinbeck Duo at the Wine Market.